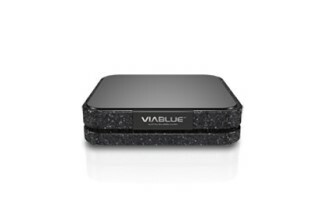 ViaBlue™ Bases reduce vibrations from speakers and other devices. Every Quattro Base contains the following absorption system: two base boards for the absorption of waves, two bass dampers to reduce low frequency vibrations and spikes to separate the upper and lower base boards. 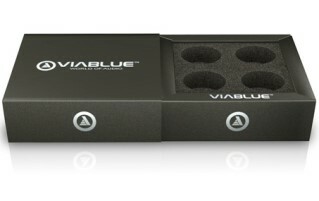 The multi-decoupling system of the two baseboards of the ViaBlue™ Quattro Absorbing System combined with additional soft pads on the surface of the base as well as at the bottom of adjustable feet lead to a reduction in vibrations and allow for a solid basis for an enhanced balance in sound and musical precision. 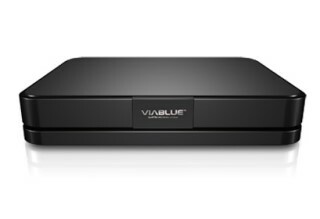 In the end, vibrations are not transferred to furniture or flooring, but wave movements are reduced considerably enabling a clear and accurate playback of the music. 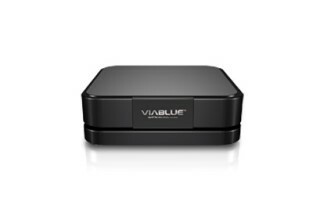 The sound quality of HiFi equipment is dependent on the supporting surface. 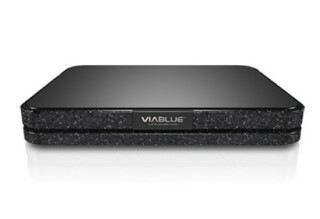 The concept of ViaBlue™ QUATTRO Base with two baseboards (more volume and mass) is to provide a stable supporting surface able to absorb vibrations. 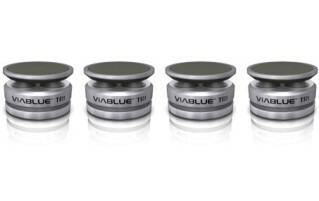 ViaBlue™ Softpads on the surface of the base as well as at the bottom of adjustable feet provide two damping systems to regulate the bass. 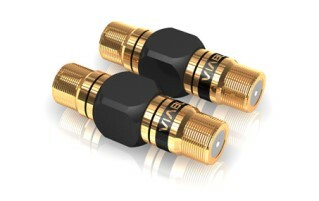 There are four 24-karat gold-plated spikes integrated in each of the two baseboards in order to provide a connection with maximal pressure. 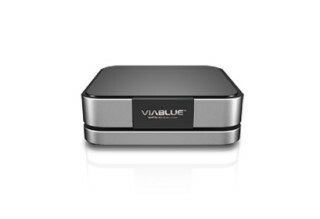 ViaBlue™ Bases QUATTRO 5.0 and QUATTRO 2.8 differ in size of surface area. 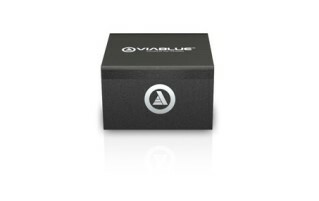 ViaBlue™ TRI absorbers receive vibrations from vibrating bodies like speakers (such as diaphragms) and devices (such as transformers and reduces them. 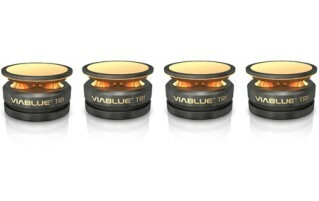 Through a high pressure concentrated on three minimum points (peaks), maximum pressure is built up as a connection point between vibrating bodies and their base. 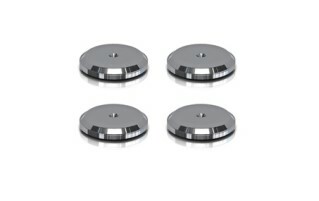 Through the extreme pressure points, the vibrations are eliminated. This leads to vibration absorption. 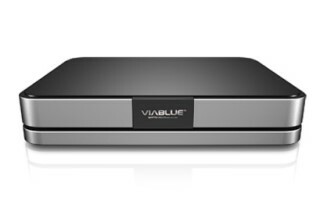 Vibrations are received through the vibration reception disk. 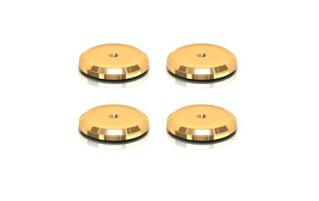 The vibrations, gathered on three especially hardened spikes (peaks), are transferred via the integrated master disk. The excess pressure creates a maximum of three pressure points. The vibrations are eliminated. In this way, the vibrations of speakers and devices are not transmitted to furnishings and buildings and do not cause any static noise. 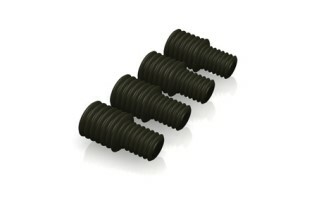 A total of 4 absorbers per set are included in delivery. 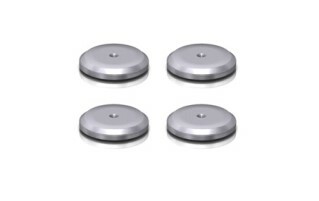 One TRI absorber consists of: a threaded grounding component, a rotary disk of adjustable height, three steel-hardened spikes (peaks), and a hardened master disk incorporated in a vibration reception disk. Absorbers are used, for example, for acoustic decoupling of the speaker cases from the base. In this way, feedback is avoided. Clean acoustics from the speaker are thereby ensured. The bass is not transferred to furnishings and buildings but can develop freely in the room. HS spikes come inclusive discs. HS replacement discs are spare parts only.